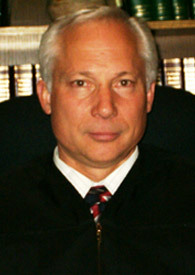 Judge Lowrey was appointed to the District Court bench in August 2003 and assumed his position in January 2004. Judge Lowrey graduated in 1974 from the United States Air Force Academy. During his five years of active military duty, Judge Lowrey earned a Masters Degree in Public Administration from Georgia College in 1978. He subsequently graduated from the University of Colorado Law School in 1981.